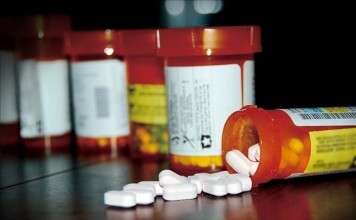 Prescription drug dispensing errors kill thousands per year in U.S. Picking up a prescription at a Southwest Florida pharmacy has become an increasingly expensive errand. Ashley Alvarez, a pharmacy technician at San Carlos Pharmacy said she expressed frustrations with the surging prices. “It’s sad how they can even sleep at night charging that amount of money,” Alvarez said. Alvarez said she’s witnessed customers in low-income areas struggle with the cost of prescription medicine. Pharmacist Richard Lawrence, suggested purchasing the generic version of the drug as a cost-effective measure, or outsourcing from Canada. A prescription for Lamictal, a mental health medication, varies in pricing. It’ll cost $435 for 30 tablets, or $10 for 30 tablets of the generic version. Others, like Charles Curry, a customer at Fort Myers Prescription Shop, said he’s wants to try to pay the lowest price for his medication. Curry and Lawrence agreed on implementing thrifty strategies like shopping around and determining the cost with or without insurance to save money.